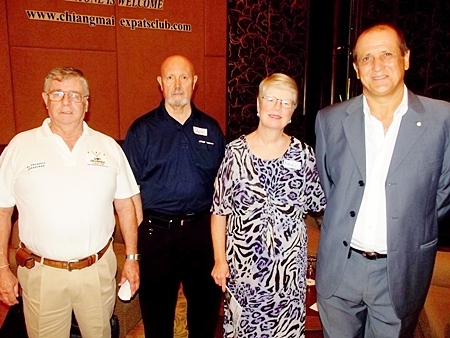 Friends of Music Making in Chiang Mai donated 10,000 Baht to the Chiang Mai Red Cross on October 27, 2011 raised by donations from members at a recent concert. 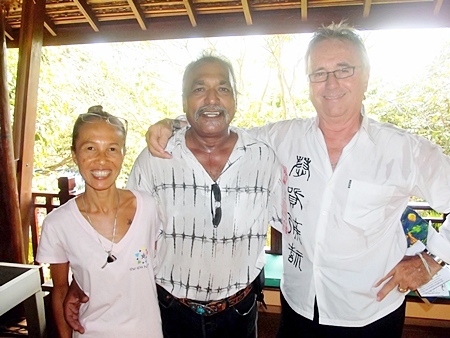 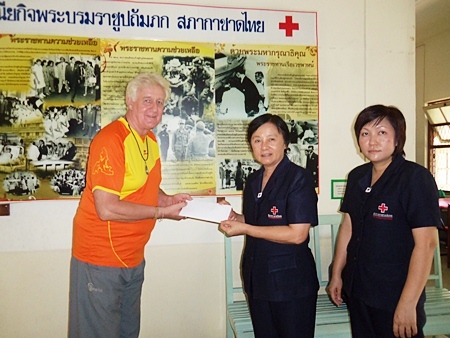 Here Jean Pierre Kirkland is seen presenting the money to the Chiang Mai Red Cross. 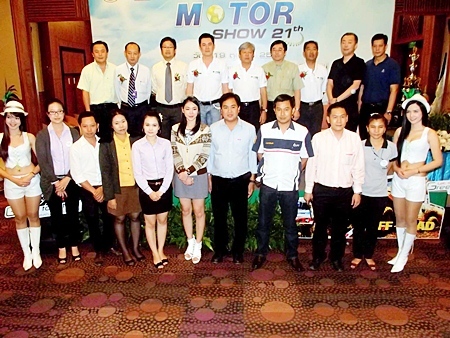 Chiang Mai Interbrews Festival was announced at a press conference with Sydney Moss, Patinya (Joon) Srisuk of Horeca and Khun Oh of JJ Market. 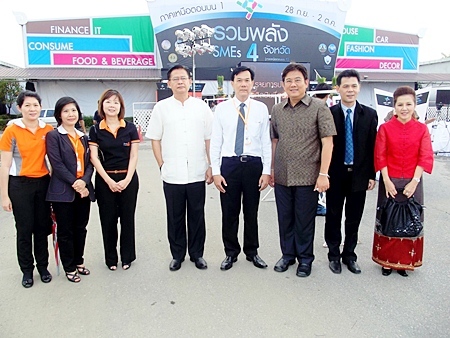 The event will be held from 15 December until 15 January at JJ Markets. 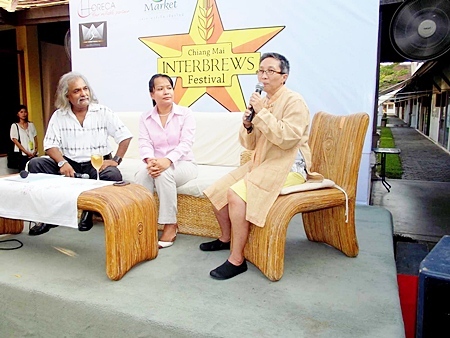 Highlighting over 300 labels of world class beer; showcasing Asian and European style in the arts of brewing. 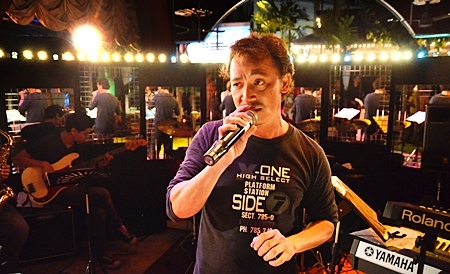 Lanna culture in clothing and performances concept will be promoted as well as the “Chiang Mai Has Talent” competition & entertainment. 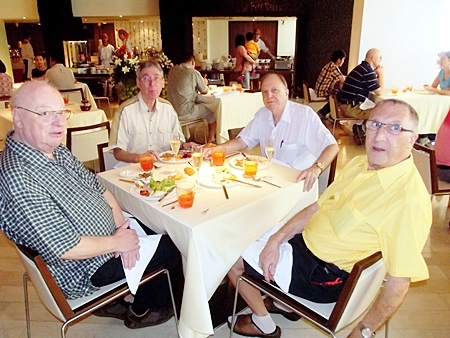 This 32 days-long event will be complimented with both Thai and international cuisine catering to locals, and national and international tourists, during the winter season and Royal Flora festival. 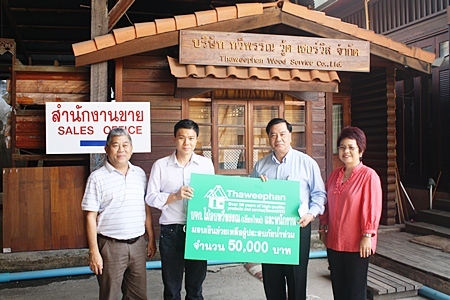 Japanese Consul General Kazuo Shibata donated 50,000 Baht of privately collected money to the Chiang Mai Red Cross Vice President to aid flood victims. 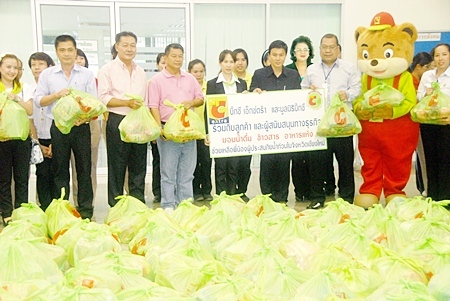 Central Airport Plaza staff joined General Manager Orachorn Chantarawiwattana to present donations of food and goods to flood victims to Chiang Mai Governor ML Panadda Diskul on October 14, 2011 at Central Airport Plaza. 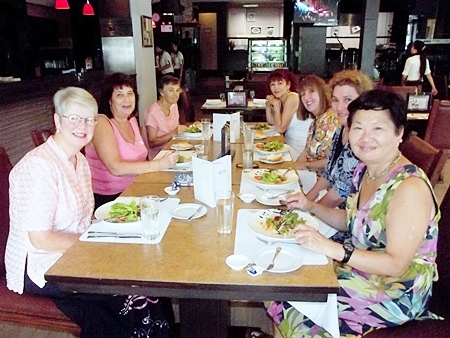 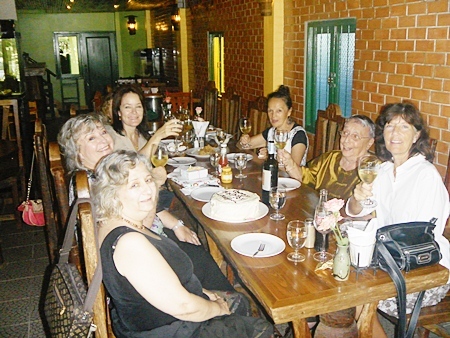 Margaret Bhadungzhong celebrated her birthday with friends at The Dukes Restaurant on the Old Chiang Mai – Lamphun Road on September 27, 2011.